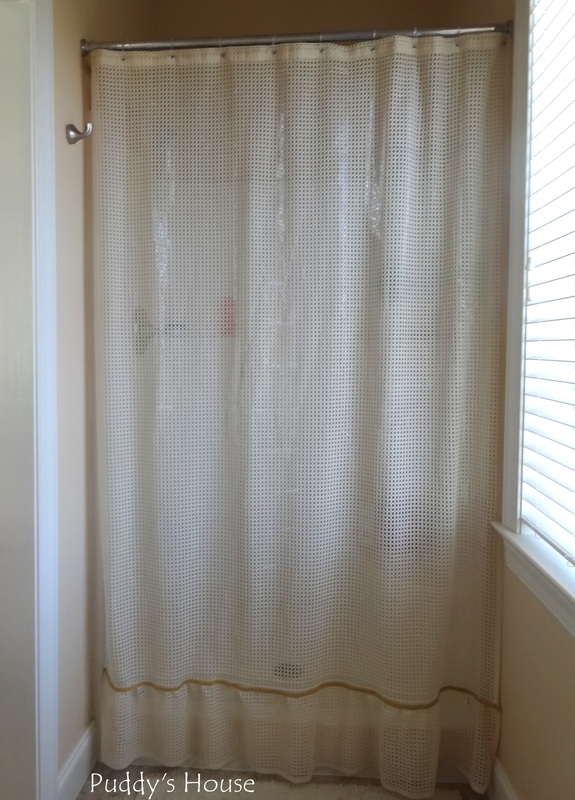 When I previously shared our Master Bedroom and Bathroom, I didn’t share the shower stall because I didn’t have anything pretty to show. 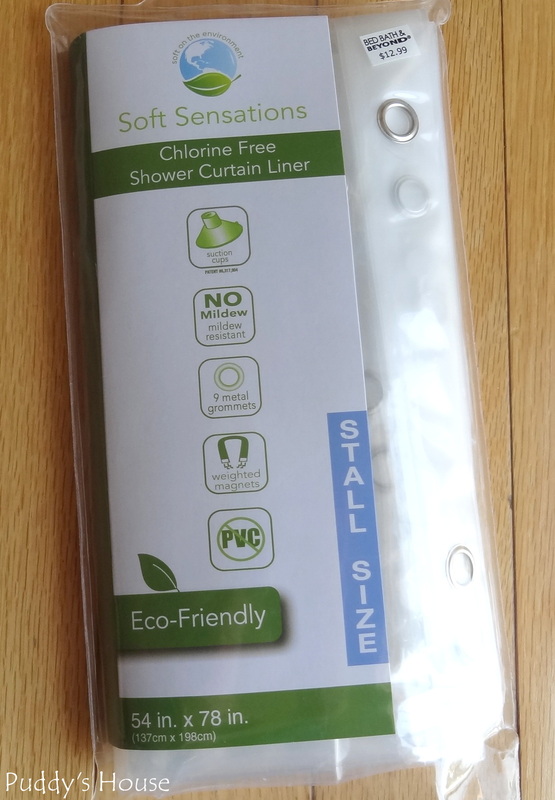 I shared this shower curtain that I had found, but it wasn’t hanging since it is for a tub/shower combination and not a shower stall. 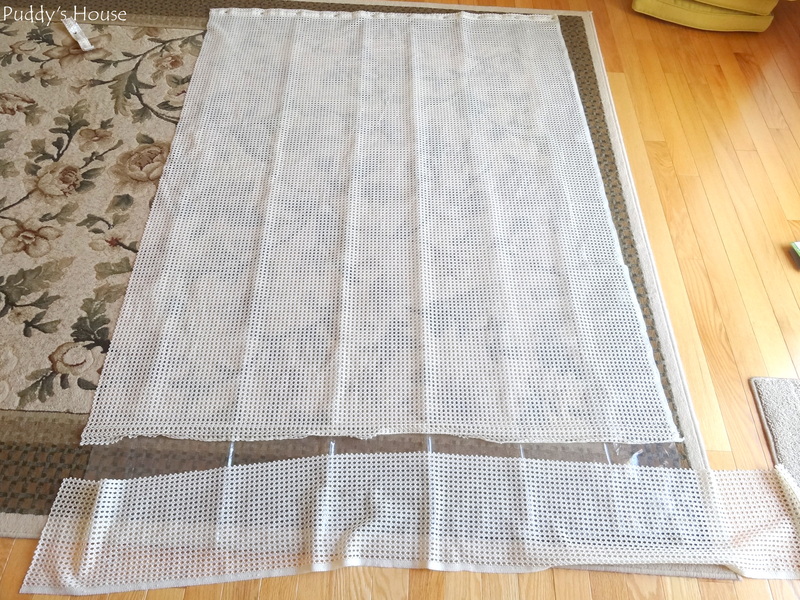 I finally found time (and the ambition to get out the sewing machine) over the weekend to work on modifying the shower curtain to work for the stall. I bought a new clear liner and used that as my base. 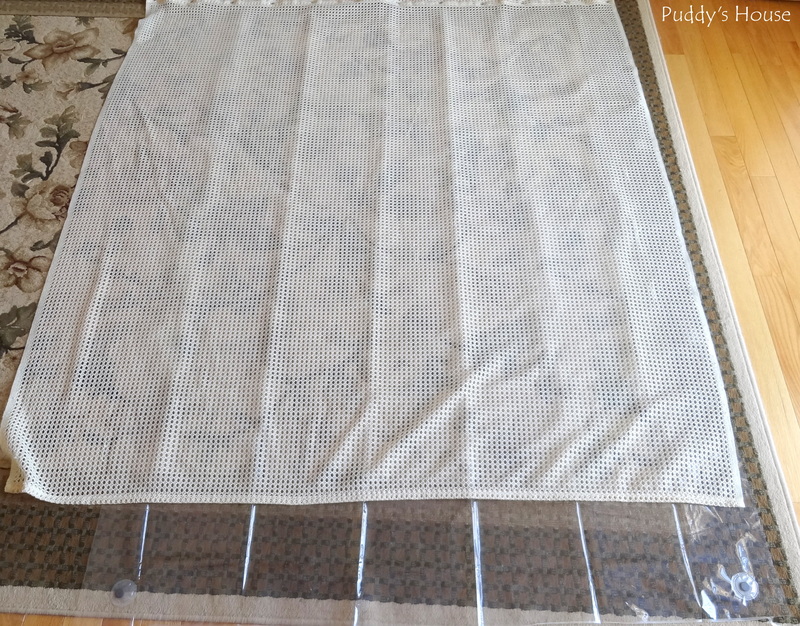 I laid the plastic liner out flat to use as my guide and then put the decorative curtain on top. First I took out the bottom seam to see how much additional length I gained. It was folded several times before it was sewed I just carefully used a seam ripper for this step. Fortunately, it pulled out in long stretches. After I removed the bottom seam, I also cut about 8 inches from the side. I needed to cut from the width so that I could use it to add to the length. 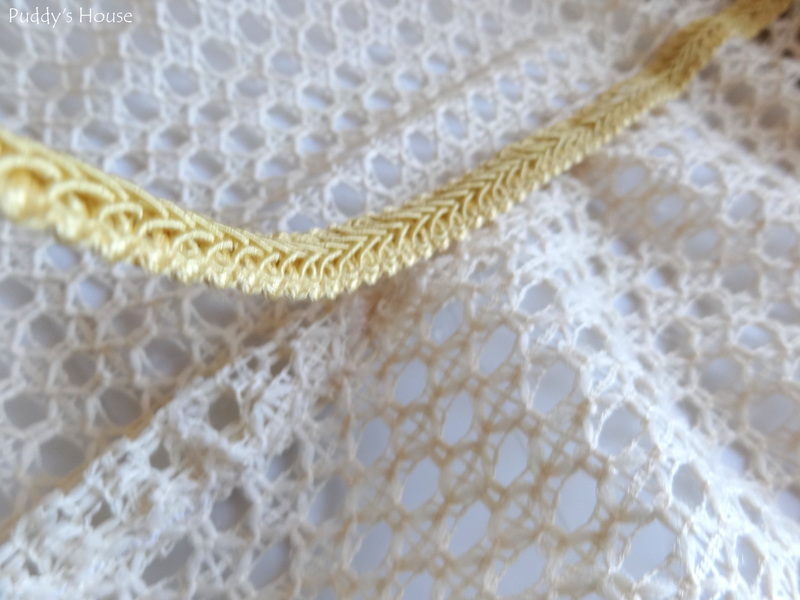 Since the length was so much longer than my modified width, I had some fabric to play with. 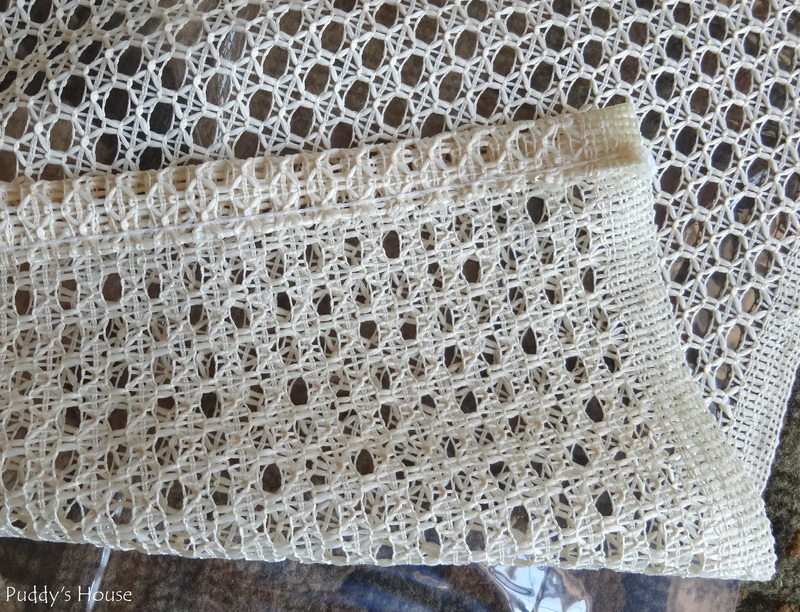 I decided to just gather the extra length a bit as I sewed the two sections together. 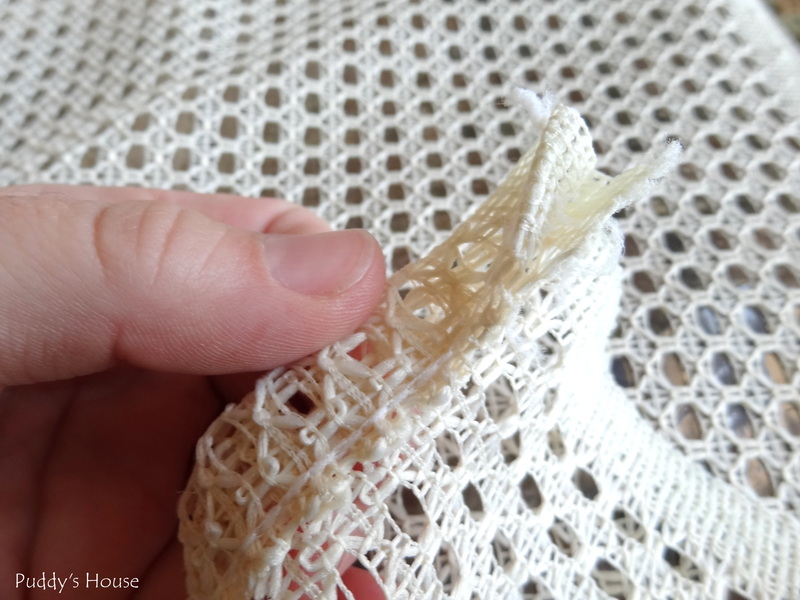 I tried to be detailed about this step, but the truth is, the fabric was very hard to sew. 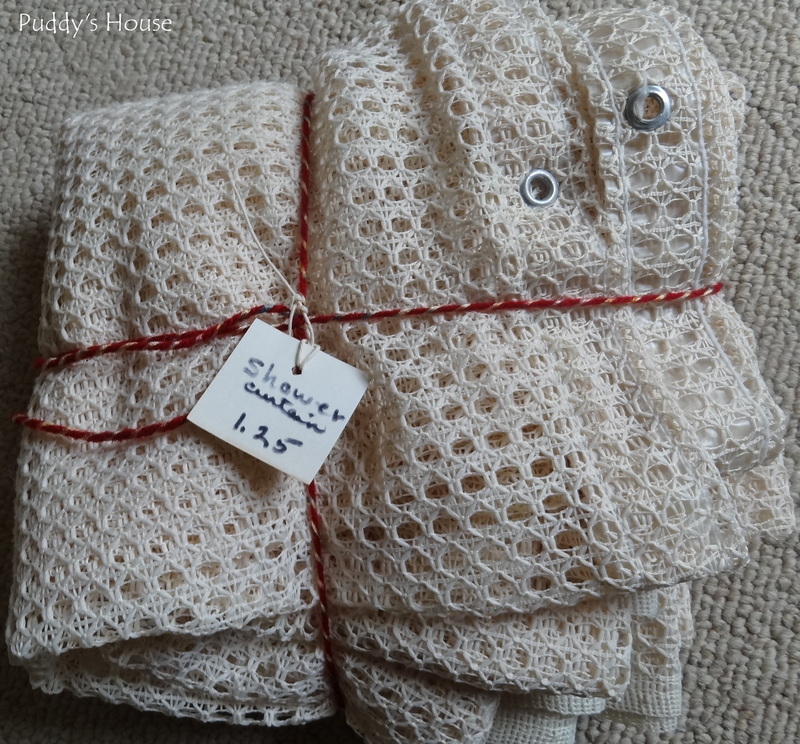 It was also quite difficult to pin and have it stay pinned as I sewed. So I just adjusted as I went along. I ended up with a slightly ruffled bottom edge. 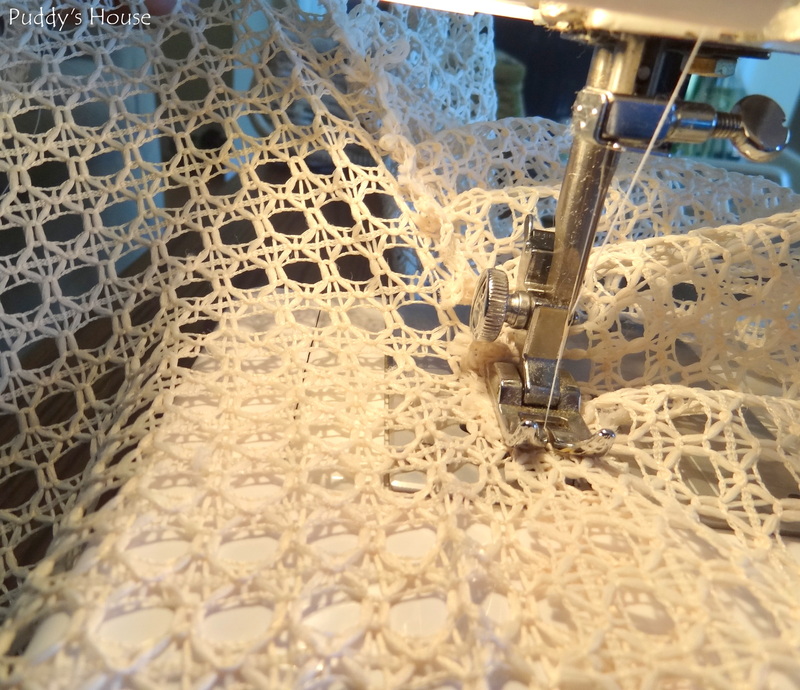 Then, I just needed to figure out how to hide the less than perfect seam I had created. I looked in my craft room and found some gold trim. I had it leftover from reupholstering the chairs in our living room. I knew there was no way I could sew it on and have it look nice, so I went with my trusty glue gun. It covered the seam quite well, and added a nice pop of color. My modifications added enough length, that I could even raise the curtain rod a bit higher. Overall, I’m pleased with the results. I am finally not ashamed to show my shower stall. 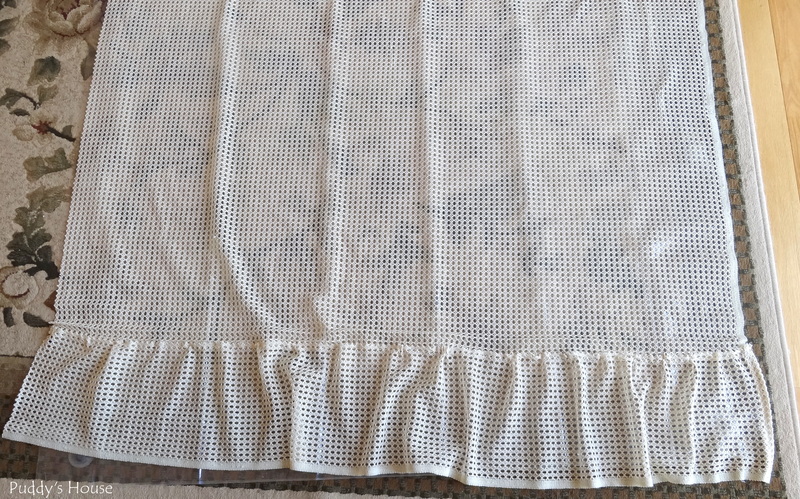 And, I did it all for the cost of $1.25 for the curtain and some materials that I had on hand. I didn’t factor in the cost of the new liner, because I needed one anyhow. So what do you think? Do you think my hot glued on trim will withstand the steam of the shower? Thanks for sharing this. I needed something that suits my son. 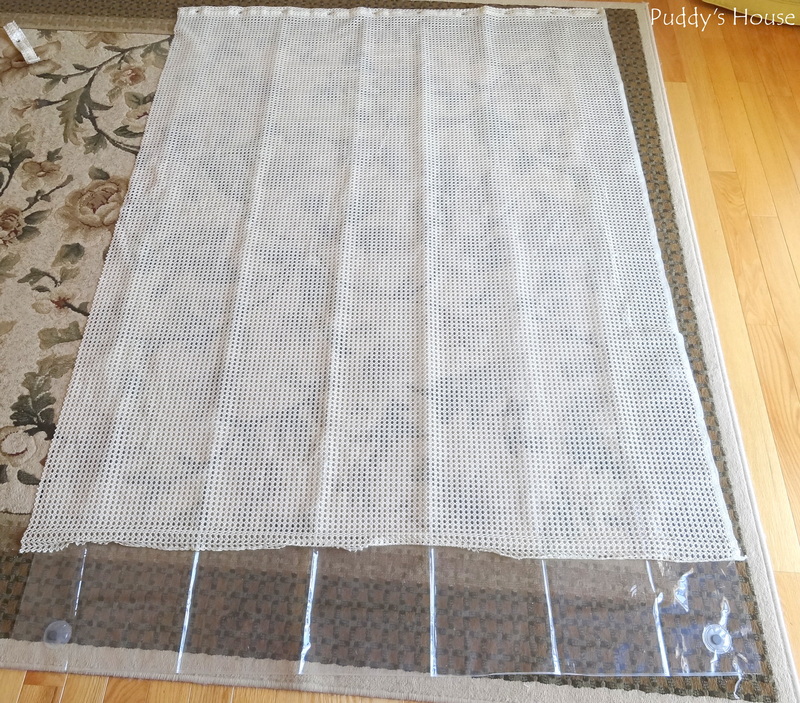 He has this fear of not being able to see through the shower curtain and I have to just use a clear vinyl but with this I am shopping for the crochet material at fabric.com and it’s on my weekend project.